Birdsville’s busiest week of the year occurs this August/September. Visitors converge on this tiny outback town from all parts of Australia and the world on the first Saturday in September for the Annual Birdsville Racing Carnival, held over two days (Friday and Saturday). The first race meeting was held in 1882 as an event for hack and stock horses with a few local spectators. The carnival now includes a 13-race program and prize money in excess of $130 000. 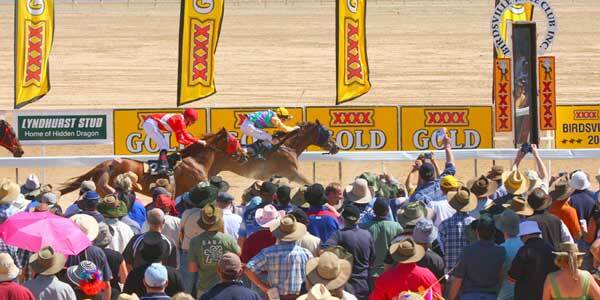 The XXXX Gold Birdsville Cup is a much sought after trophy and is famous throughout the world. Situated three kilometres to the South East of Birdsville, the track itself is on a claypan alongside the sand dunes. The track is 2000m in circumference with the longest race, 1600m XXXX Gold Birdsville Cup starting in the back straight. All starts are on the course proper with the exception of the 1000m, which starts from a chute. Birdsville is one of four tracks in Queensland that run anti-clockwiseCrowds of over 6000 racegoers celebrate the carnival each year enjoying two days of quality outback racing and two great nights of live entertainment. Other entertainment includes the AKUBRA Fashions of the Field, Fred Brophy’s Boxing Troupe, whip cracking, sideshows, a giant auction and much more. Great entertainment, class horse racing and premium hospitality makes for a fantastic week in the heart of Australia’s outback. 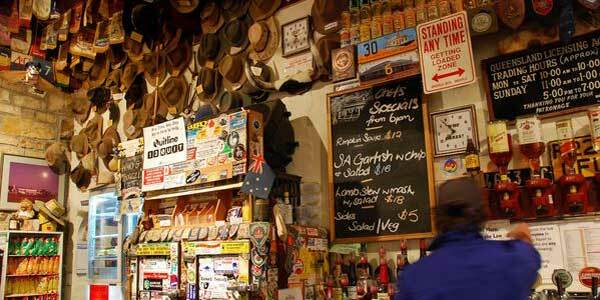 Accommodation – The Birdsville Hotel will not have any vacancies during the race week. Please note that the caravan park does not accept individual bookings for either powered or unpowered sites for the Birdsville Races. The sites are available on a first in first serve basis. Visitors should be aware that the Caravan Park will be full at some stage during race week. Free Camping – Free Birdsville campsites are available on the banks of the Diamantina River in between the racecourse and the town. The Diamantina Shire will provide rubbish bins and a limited number of portable toilets will be located nearby to common campsites. Showers are available for a small fee at the campground and at other locations around town. Supplies – Birdsville has two fuel stations, but no leaded fuel or Autogas. Food – The Birdsville Auto Centre has a general store, there is a bakery in town, and food stalls are located will be located in several places. How to get there? Take the Birdsville Track if you come from the south, the Birdsville Developmental Road from the east, or the Eyre Developmental road from the north. All roads leading into Birdsville are UNSEALED and demand driver concentration. Caution and adequate preparation are necessary when traveling on outback roads. Ensure that excess fuel, water, food, medical supplies and spare tyres are carried in case of emergency. Greyhound bus runs a shuttle service from the town to the racecourse during the race days. There are several tour operators running tours to the races, mainly from Queensland. If you drive, don’t drink and drive. Police monitor the area around Birdsville closely. 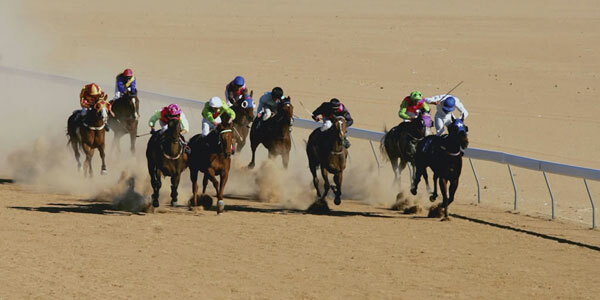 Birdsville Races – Adjust slider to zoom in/out on location.